Following the appointment of Humza Yousaf MSP as the Scottish Government’s new Transport Minister I have written requesting a meeting to discuss the reintroduction of the Levenmouth rail link. In my letter I highlighted that Levenmouth is the largest conurbation in Scotland that is not currently serviced by a rail link and outlined the benefits it would bring to commuters and employers such Diageo and Fife Energy Park. During the recent Scottish Parliament election, I stood on a pledge of the re-introduction of the rail link and successfully lobbied to have it included in my party’s manifesto. 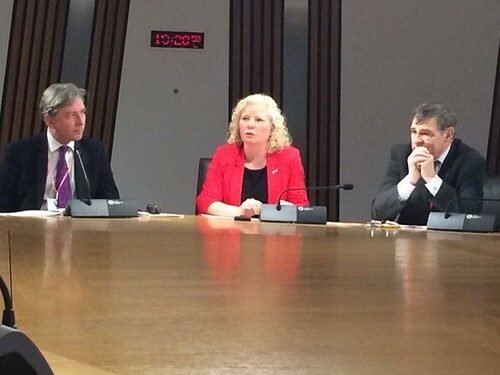 Today I took part in a member’s debate celebrating the work of the Coalfields Regeneration Trust. The trust is based in Alloa and has worked across the Mid Scotland and Fife region in the past 15 years carrying out excellent work regenerating and addressing the challenges facing former mining communities. Thirty years after the decline of the coal industry, there is a continuing legacy of poverty and deprivation, a set of circumstances which in recent years, has faced further pressure. 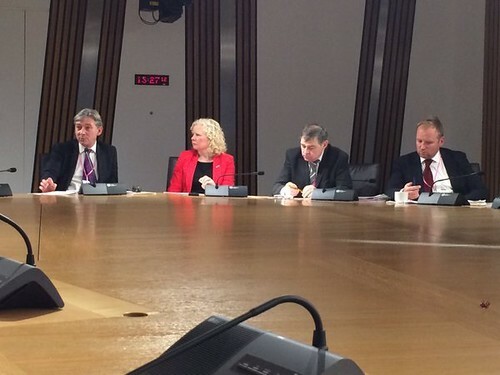 There are still worse levels of deprivation in coalfield committees when compared to other areas, and the Trust report that Fife, by some margin, has the largest and most pronounced concentration of coalfield deprivation in Scotland. 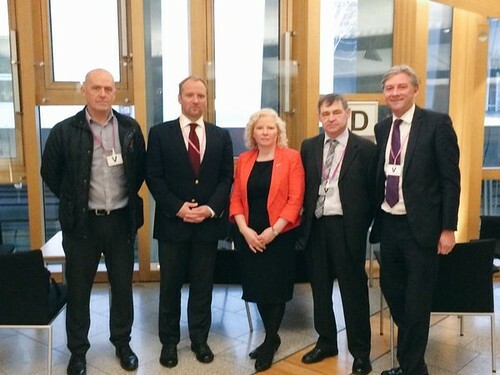 I was able to highlight the Trusts work in Methil, where they provided grants to groups and projects through their Participatory Budget Fund. The fund has proved a success and for every £1 invested though participatory budgeting an additional £5 of external funding has been secured. Communities living with poverty often feel remote from decision making or feel as if their vote at the ballot box doesn’t change their lives or community very much. Projects such as this give communities power, control and decision making, bring people together to improve their community and I am happy to continue to work with them in delivering change in Mid Scotland and Fife. 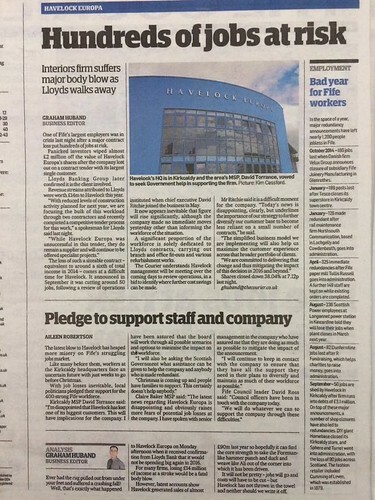 Yesterday it was announced that Havelock Europa, based in Kirkcaldy, lost £2 million off the value of its shares after it announced the loss of a contract worth up to £14 million to the company. 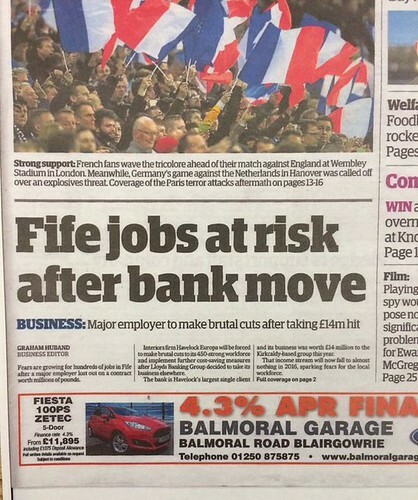 Understandably this has led to a fear of further job losses on top of the 50 announced earlier this year. I have spoken to senior management in the company who have assured me that they are doing all they can to mitigate the impact of yesterday’s announcement. I will continue to keep in contact with the company to ensure that they have all the support they need in their plans to diversify and maintain as much of their workforce as possible. 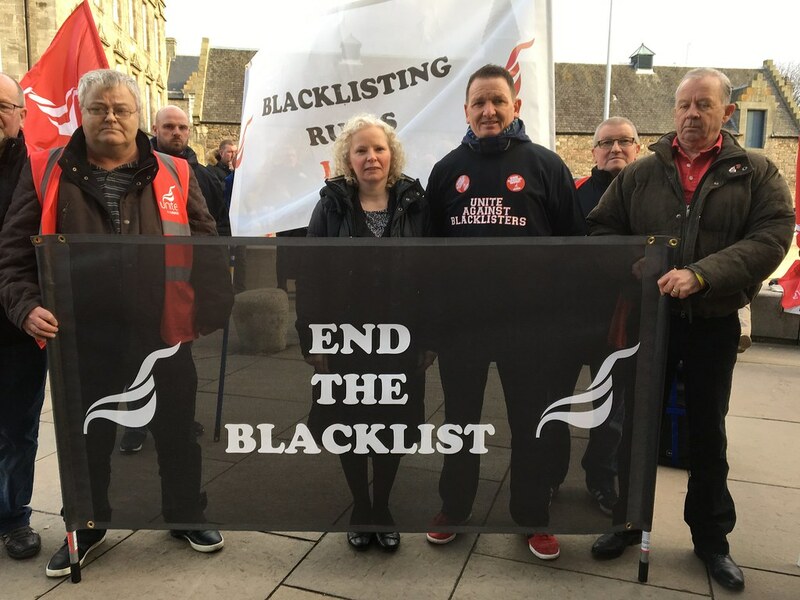 Following last week’s protest outside Fife House against the Conservative Government’s Trade Union Bill I was delighted to join colleagues in voting against the Bill in Parliament. 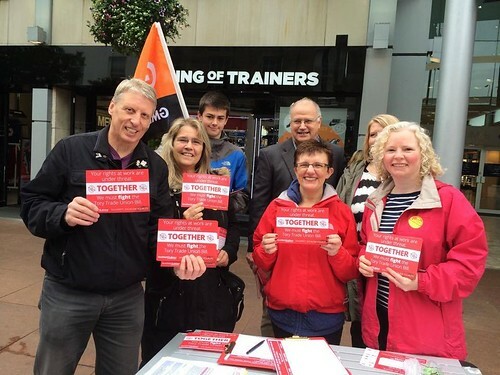 The Bill, introduced by the Conservative Government, is an attack on workers’ rights and weakens local democracy. 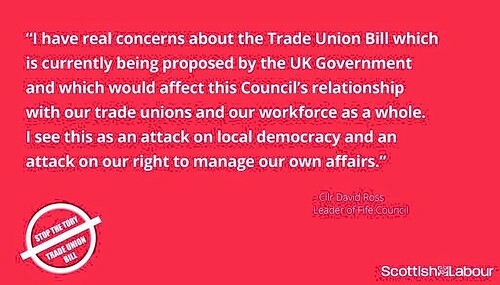 I am pleased the Fife Council have spoken out against the Bill and I hope that Scottish Parliament’s vote will put more pressure on the UK Government. 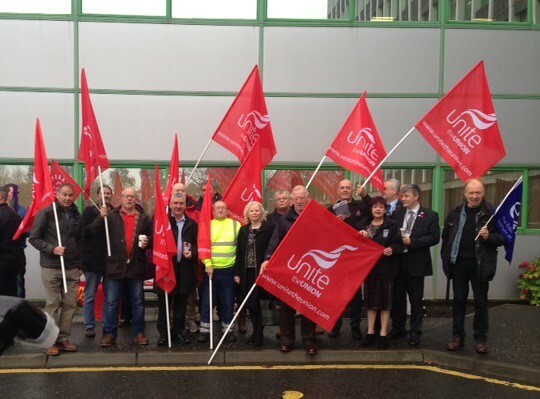 Before the debate I was pleased to join local and national trade unions – including a delegation from Fife – in protesting against the Bill outside the Scottish Parliament. Scottish Labour is proud to stand against this ideological attack from the Tories on working people and I hope you can join us. You can watch the full debate below or read the official report here. 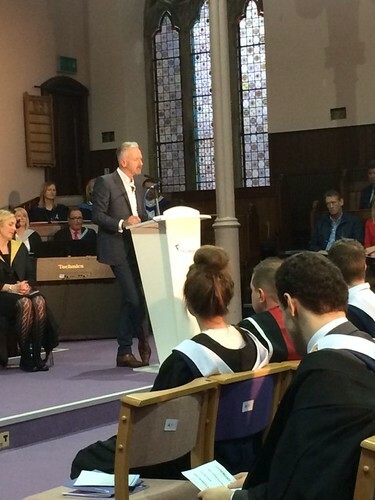 On Thursday I was able to attend Fife College’s graduation ceremony for Creative Industries and Computing students at St Bryce in Kirkcaldy. 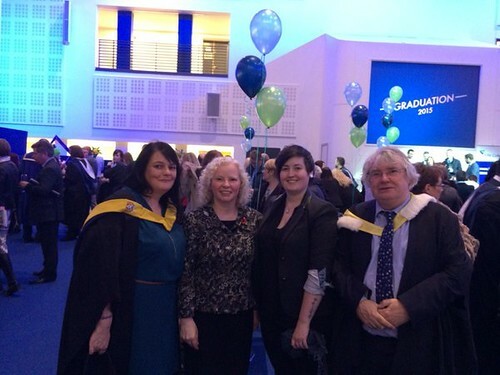 It was a lovely ceremony with many proud students and family members. 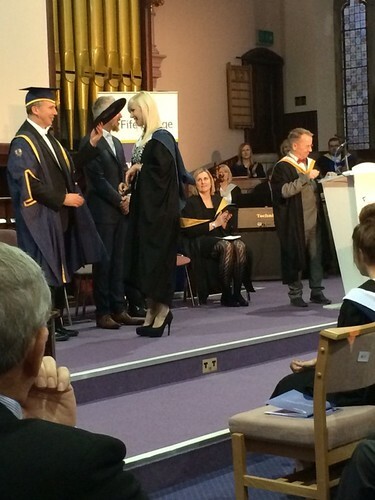 They all deserve huge congratulations for all their hard work and I wish them all well in their future. 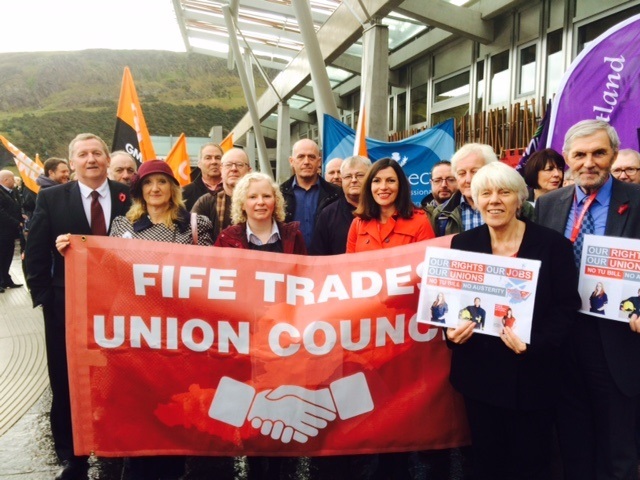 I was delighted to join with colleagues from Fife Labour and local trade union members in protesting against the Conservative Government’s Trade Union bill. This bill is an attack on workers’ rights putting unrealistic restrictions on protests and strikes. It is also weakens local democracy, potentially impacting on their relationships with public sector workers and the trade unions. Previously I have raised the issue in the Scottish Parliament along with joining colleagues in holding street surgeries in Kirkcaldy to gain support for our petition.